Anon. sale, Sotheby's London, 21 March 1974, lot 44. J. Byam Shaw and G. Knox, The Robert Lehman Collection VI: Italian Eighteenth Century Drawings, New York, 1986, under no. 178, note 8. 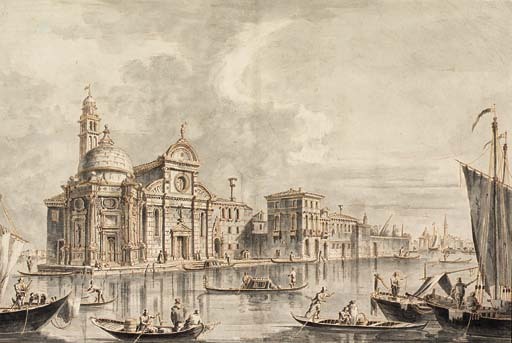 Thirty drawings by Tironi are known: among them, six are in the Albertina, two at Washington, six in the Victoria and Albert Museum and two in the Pierpont Morgan Library. The present sheet is related to the series of 24 engravings by Antonio Sandi of views of the islands in the Venetian Lagoon, J. Byam Shaw and G. Knox, loc. cit.